A standalone utility to view, open & read corrupted MDF File data without SQL Server Installation. Read MDF database files, columns, indexes, Keys, classes, triggers, etc. MDF file reader enables the user to freely open and view the MDF file. This software permits the user to browse the corrupted or orphaned .mdf file without SQL server environment. This software supports all Windows version and there are no limitations on file size appended with it. Freeware MDF File Viewer does not require any kind of supportive environment for its working. However, our tool will work independently on its own whenever it is loading the entire data of MDF file within it. The application is having user-friendly interface and can access without having SQL server. The software is designed to perform the quick scanning of MDF file to explore and available for analyzing. In case of corruption in MDF file, users are unable to open it. Also, the software enables that users no need to have SQL Server environment to read data in the Master database. The MDF reader is programmed in such a way that even a novice user can access it without any assistance. After merging .mdf file, almost all functions can be executed automatically through this software. Also, it can freely open & view .mdf file on any version of Windows machine. Once the scanning of MDF file is completed, it will display a prompt to save the scanned database. Even users can keep the scan items at any specific location as per their choice. In simple words, users can load and open MDF files quickly for previewing. 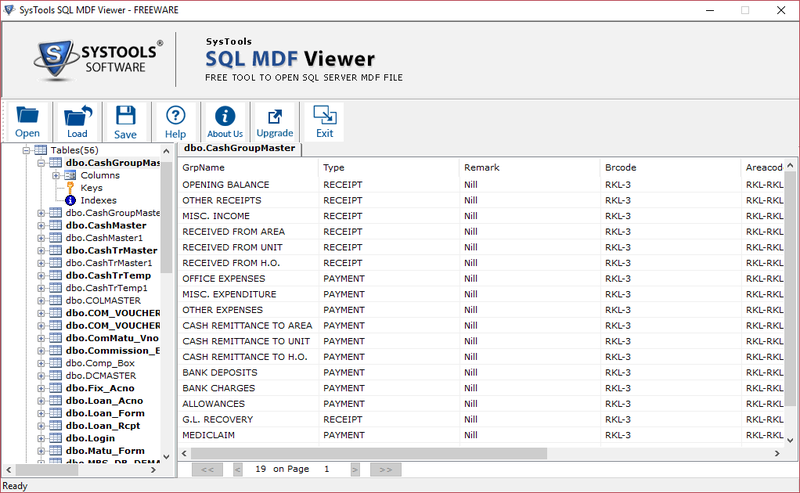 MDF file viewer allows to preview of all tables, classes, columns, Keys, triggers, and so on. Also, users can view all the columns available within a table. After this, click on the database and it will provide the hierarchal structure of SQL server components saved in it. Q 1. With MDF File Opener tool, Can I easily preview all the attributes of .mdf data file? "I am facing a big trouble while viewing all columns of .mdf files in tabular form. Will your freeware help me out to view my Master database file? Yes, the software is capable to preview all components such as tables, columns, keys, indexes etc., of the SQL MDF files. Q 2. Can I preview my MDF database file after scanning the corrupted file? 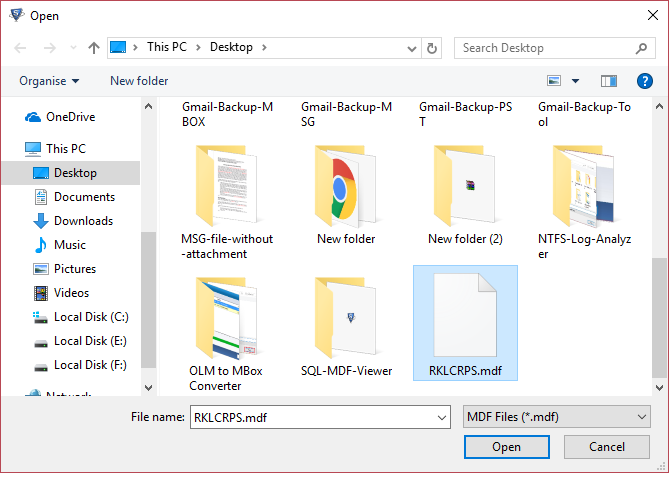 "My MDF file had gone corrupted due to virus attack on my computer system. I was trying to recover these file but, due to an urgent request to view some .mdf file. Will the software support such damaged .mdf file for resolving my issue?" Yes, the MDF file opener provides a facility to preview the items from damaged MDF database file. Q 3. Does your software require the installation of SQL server environment to open and view the MDF database file? 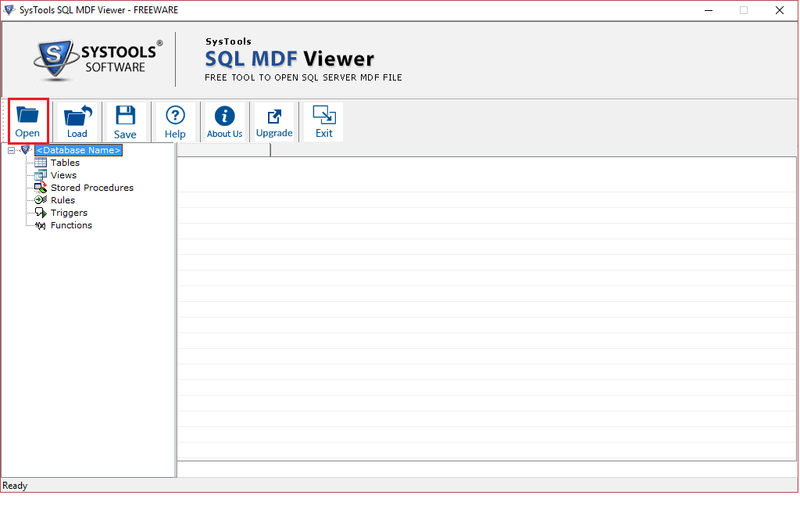 No, our MDF file viewer is totally independent and does not require any SQL server environment for open MDF file. 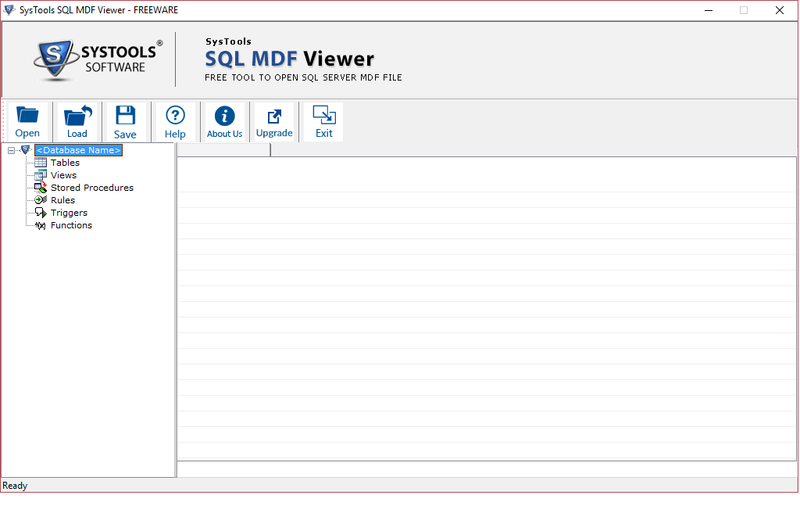 Step 1 : First, you have to Download and Install SQL MDF File Viewer. SQL MDF Opener Tool is an awesome solution to view and open the MDF files without any platform dependency. It can browse all the content along with tables, columns, indexes, etc. Moreover, the software can load all the data items for scanning and preview the .mdf files. Heads off to the developers who initiated such application within the market. MDF file reader has made the task more easy for us to scan and view the corrupt MDF file in a consistent manner. However, this software is really an effective and user-friendly interface and even a non-technical user can easily access each MDF files accurately. Appreciate to the development team for creating such an attractive solution to the user. Great work! !